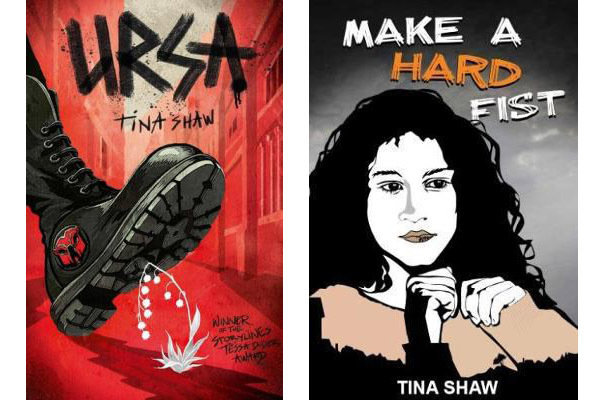 This week Karen chats with author Tina Shaw about her new YA novel Ursa, which was just launched at the 2019 Storylines Margaret Mahy National Award Day here in Auckland. Listen to this week's episode on the Planet FM website. Ursa is a chilling exploration of totalitarianism set in an alternate world, inspired by Tina’s time living in Berlin for the Creative New Zealand Berlin Writer’s Residency. Tina’s YA novel Make a hard fist was an Auckland Libraries Top 100 for 2018. Karen and Alison talk about the joys of reading crime fiction and recommend some favourites, while considering some of today’s tropes on the subject, such as the idea that crime novels by women are more brutal than those by men. Listen to this week's episode on the Planet FM website and read on for the books mentioned in the show. He aha te kai a te rangatira? He kōrero, he kōrero, he kōrero. 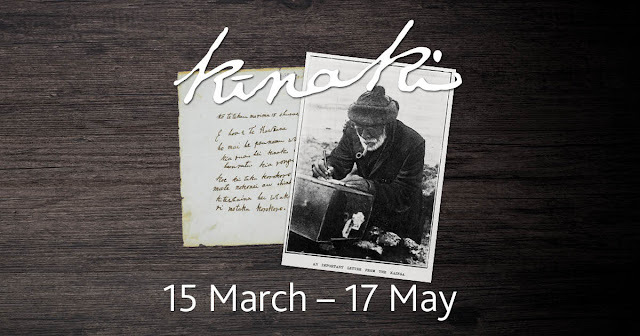 Central City Library's current exhibition, ‘Kīnaki: Ngā reta Māori’, is a collection of ngā reta Māori (Māori letters) handpicked from the Sir George Grey Special Collections by Robert Eruera, Poukōkiri Taonga Tuku Iho Māori | Senior Curator Māori. For the purposes of the exhibition, Kīnaki refers to the small things that we relish and take pleasure from. These letters were chosen in the hope that our interest will be piqued by the morsels on offer. Stretching over 50 years, these letters span an era of time during New Zealand's colonial infancy and illustrate the close relationships between rangatira (chiefs or leaders) and Governor Grey. Almost all the letters are addressed either to Governor Grey or his wife Lady Eliza Lucy Grey, and many of them are surprisingly uncluttered by the kind of formalities that you might expect from letters written to the Governor of New Zealand. RBdigital's eMagazine collection is expanding! The RBdigital eMagazine collection is expanding, bringing you 42 brand new titles in April. Amongst the collection are internationally recognizable mags such as Pip Permaculture, The Hollywood Reporter and In the Moment. 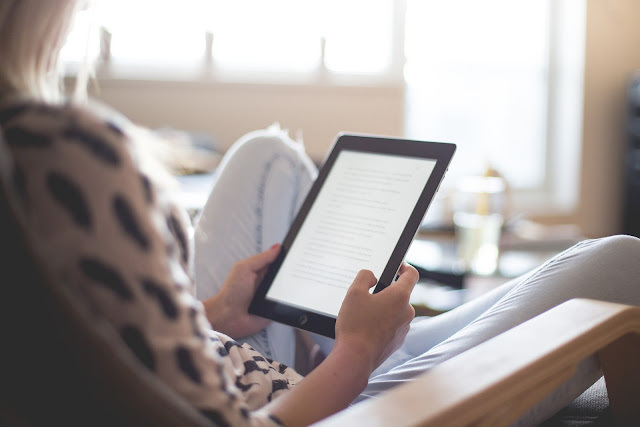 RBdigital’s expansion caters to a variety of literary tastes, whether you’re after the latest Vogue UK or a diehard Fishing World fan. Check out the list of new additions below or visit RBdigital to browse the entire collection. Karen and Louisa celebrate April Fools' Day with a look at literary hoaxes, from Ossian, an 18th-century Scottish fabrication of a 3rd-century bard, to Go Ask Alice, passed off in the 1970s as the true diary of an off-the-rails teen. Bruce Clarke, Incredible Images, for Urban Hymns, Te Atatu, spring 2018. This week on Books and Beyond, Owen Gill chats with Karen about the ideas in his new book, Turning Point Auckland: radical policy to prepare Auckland for 2 million people. Te Atatu, at the time the north-western motorway was under construction, Whites Aviation from the Alexander Turnbull Library Collection. Owen is a public policy advocate who has experience in urban services and regulation in New Zealand and Australia. His change agenda aims to ensure that Auckland, where he was born and lives, will embrace three roles: productive city, city of the Pacific and city enjoyed by its population. This week we celebrate the success of the children’s picture book, There's a Tui in our Teapot, with its author Dawn McMillan. 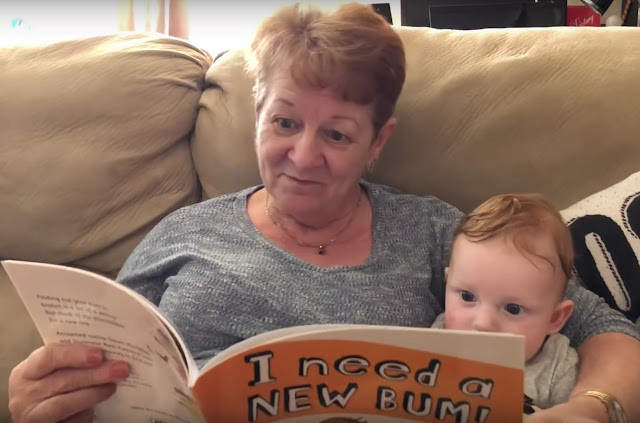 Dawn's earlier book, I need a new bum, featured in a video of the famous Scottish Granny reading to her grandchild, now seen by millions. The book is a favourite around the world! Books by Dawn McMillan:There's a tui in our teapotI need a new bum!Home child: a child migrant in New ZealandWoolly WallyMister Spears and his hairy earsDoctor Grundy's undiesColour the starsSea secretsAuckland Libraries' radio show Books and Beyond explores the world of books with guest authors, recommended reads, gems from the Central City Library basement and… beyond. 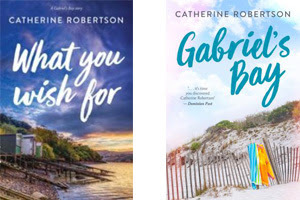 Karen chats with bestselling kiwi author, Catherine Robertson, about her new Gabriel's Bay novel What you wish for and about what Catherine wishes for her readers - interested and varied characters, topical themes and lots of laughs. 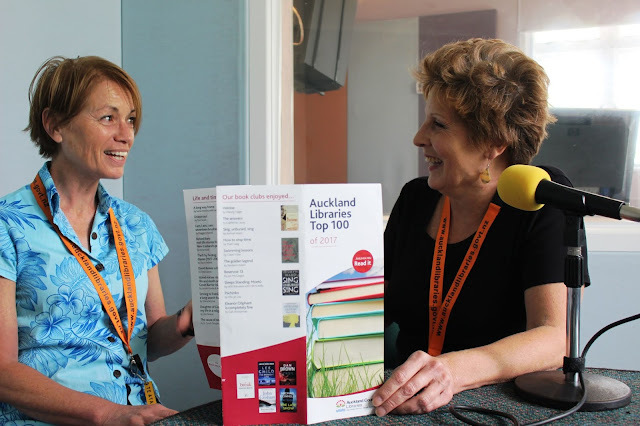 Catherine's Gabriel's Bay novels are:Gabriel's BayWhat you wish forAuckland Libraries' radio show Books and Beyond explores the world of books with guest authors, recommended reads, gems from the Central City Library basement and… beyond. Photos compiled by Penny Howard. Happy Pasifika month! On Books and Beyond this week Louisa chats with two poets performing at the upcoming Stars of Pasifika Poetry event at Te Atatū Library. Ria Masae and Doug Poole share their poetry and pride in being able to express their Pacific identity writing and performing poetry. 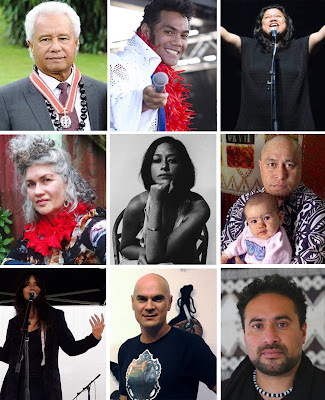 Doug and Ria are performing at Stars of Pasifika Poetry with some of Aotearoa’s favourite Pacific poets, Thursday 7 March at Te Atatū Peninsula Library from 7pm. This week on Books and Beyond, Peter Bland, prize-winning poet, playwright and charismatic actor ("Came a hot Friday") talks with librarian Karen about his life and poetry, and reads works from his most recent collections. Read on for the books mentioned in the show. Peter read:"The stone owl" from The happy garden"Our garden is a jungle" from The happy garden"Harbours" from A fugitive presence"Living close to the border" from Voodoo Peter's memoir: Sorry, I'm a stranger here myselfView Peter's poetry videos on Facebook. Books and Beyond: Happy Pride! Books and Beyond celebrates Pride this week! Alison Fitzpatrick reprises her reading for the "After-hours Storytime for Grown-ups and Other Family" (Move over Brothers Grimm, the Sisters Gay are here!) 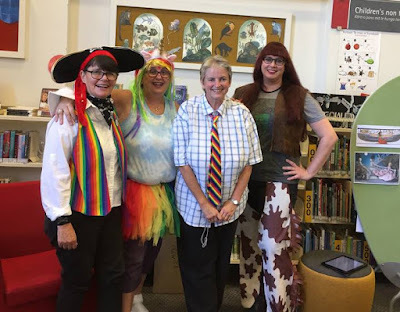 which our Grey Lynn Library hosted for the 2019 same same but different LGBTQI literary festival, and chats with Karen about rainbow writing. 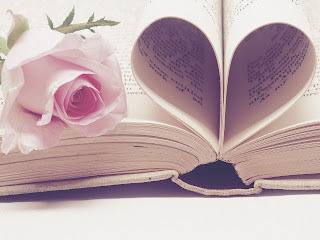 In this week's Books and Beyond episode, Karen and Louisa take inspiration from the Renaissance tradition of celebrating Valentine’s Day with "flirtatious entertainments", frolicking with great and less great love stories through the ages, and sharing a selection of New Zealand love poetry. Books and Beyond: Happy Anniversary Auckland! 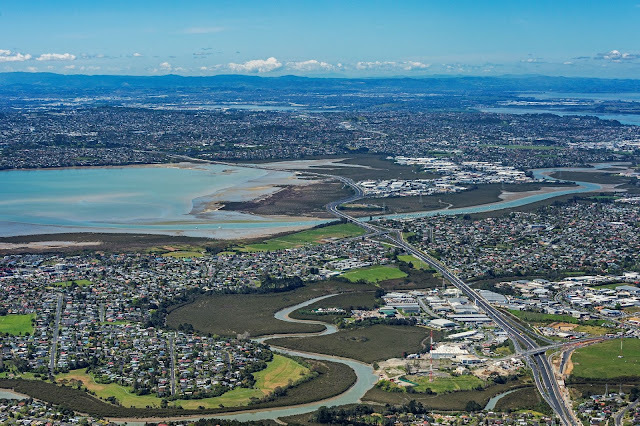 This week on Books & Beyond, Karen and Louisa celebrate Auckland Anniversary weekend by paying tribute to our city by choosing books of historical recollections, novelistic descriptions, and poetic odes. On this week’s show, Karen and Louisa recommend books to power our New Year’s Resolutions, past and future. 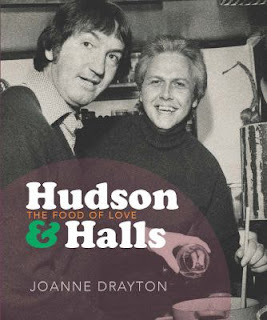 Karen chats with Joanne Drayton about Hudson & Halls: the food of love, her new book about two television chefs who helped change the bedrock bad attitudes of a nation in the 1970s and 80s to that unspoken thing – homosexuality. They were also captains of a culinary revolution that saw the overthrow of Aunt Daisy and Betty Crocker and the beginnings of Pacific-rich, Asian-styled international cuisine. Joanne Drayton is also the author of the New York Times bestseller, The search for Anne Perry, about the bestselling crime novelist who left behind another identity - that of Juliet Hulme of 'Heavenly Creatures' fame - as well as a number of critically-acclaimed biographies. Mike Lee wears his scholar and author’s hat as he talks with Karen about his new book Navigators and naturalists: French exploration of New Zealand and the South Seas (1769-1824), which weaves together geography, natural philosophy and human history, in telling the story of the great French naturalist-voyagers. Karen and Louisa celebrate the 50th anniversary of Books & Beyond with a stroll through past shows, bloopers, and the ones that got away, plus a dip into the Auckland Libraries Top 100 and Great Summer Read.